Roman togas are incredibly fun to wear and make. It's a simple process that can make an elegant look. 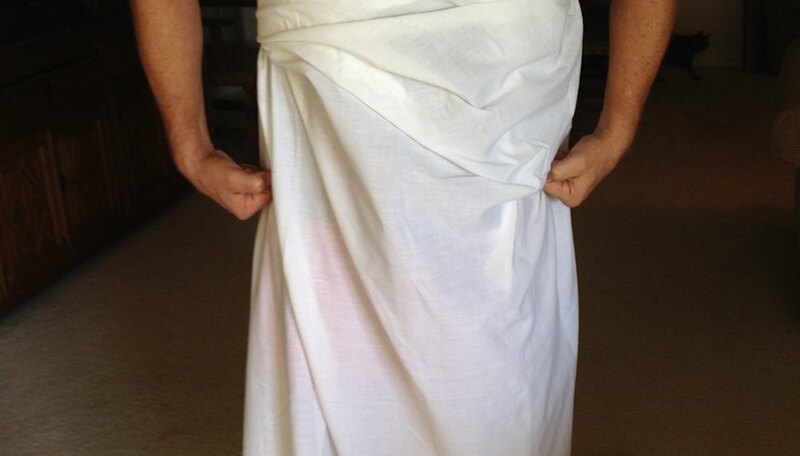 The Roman toga makes for a great outfit for Halloween or fraternity/sorority parties -- especially a last-minute costume. Although the original togas were made of heavy woolen cloth and were quite heavy, the modern party toga is made using lightweight fabric and is easy to move around in. Wear undergarments: A t-shirt and boxers for men; strapless bra and spandex for women. Put a corner of the sheet at the waist on the back of the model, draping the rest of the fabric over the shoulder and down the front of the body. Holding the back corner in place bring the remainder of the sheet across the front of the body and around the back over the back piece and around to the front again. Adjust so that the fabric rests at the right distance from the ground and hangs in a way that feels comfortable. Tuck the edge in and adjust with a safety pin. Use leather sandals, a large brooch, a belt, floral arrangements in the hair and any number of things to bring final visual appeal to the ensemble. Variations: Drape the toga front to back or back to front. 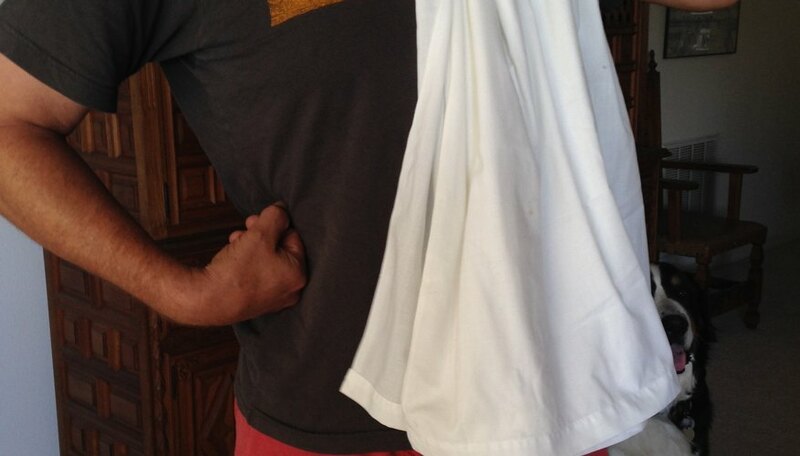 For a specifically female version fold the sheet in half and bring it around the back and under the arms. Tuck one side in under the opposite arm. Twist the opposite side and bring up over the neck, pinning in back. There's no need to stick with white. Royal Romans wore purple or other dark colors on occasion. If you have a tablecloth with any gold or silver type threads in it, this also works well. Long-time writer, quilter, knitter, crocheter and all-around crafter, Pam Hillestad also teaches high school English, and helps high school seniors get in touch with their creative genius before they head out into the real world.